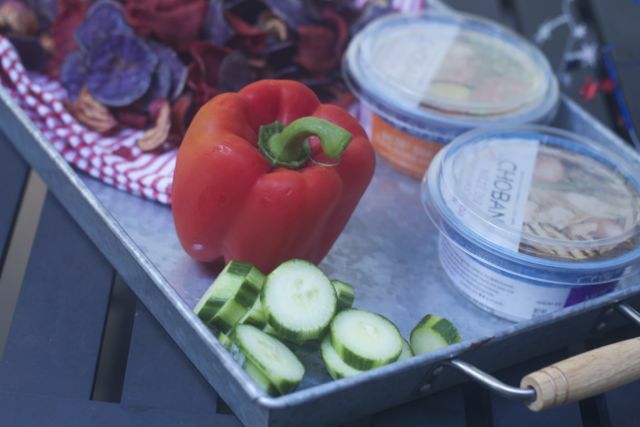 This is a sponsored post about Chobani Dips for Labor Day Parties written by me on behalf of Chobani for IZEA. All opinions are 100% mine. Summer is coming to a close and Labor Day is one of the last summer weekends. Even if kids started school, earlier this month, most people have a long weekend and can enjoy the outdoors and entertain outside. 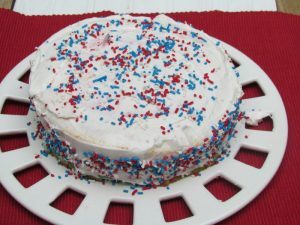 If you don’t like to entertain or headed to a pot luck, be sure to sign up to bring a Labor Day appetizer. 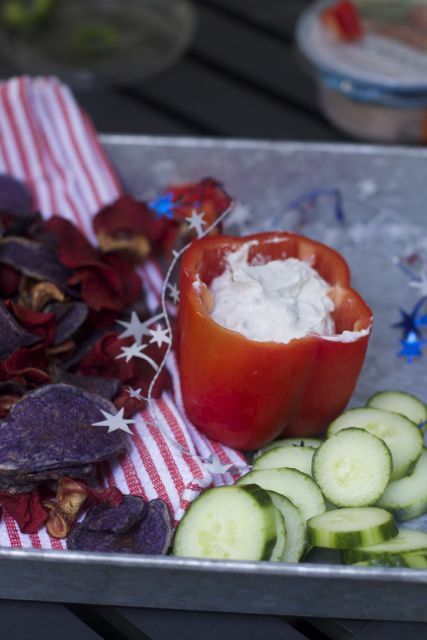 Labor Day parties just got a little easier, thanks to Chobani Meze Dips. I already substitute a lot of recipes with Greek yogurt to help lessen the fat and calories in many different foods. Dips are no exception, heck it gives you an excuse to eat more. LOL. When I saw that Chobani is making their own dips, entertaining over this Labor Day that much easier. Have you seen the new Chobani Meze Dips at Target, Meijer or Walmart stores? 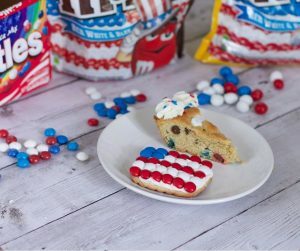 They are featuring four new delicious flavors this summer. All of the Chobani Meze Dips are made with only natural, non-GMO ingredients and are meant to be shared. Don’t show up to your next Labor Day party empty handed. 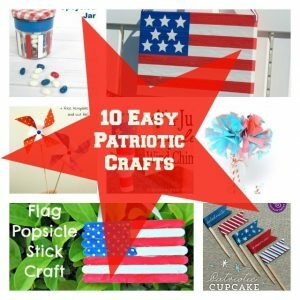 You can just grab a container and some dippers and head to your Labor Day Party. Chobani Dips feature real veggies, herbs and spices blended with creamy Greek Yogurt. Beyond it’s great taste, these dips also have 80% less fat and 65% fewer calories than the leading hummus. 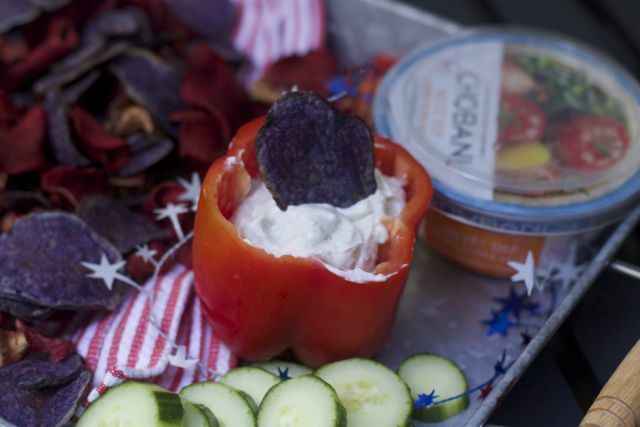 If you are hosting a Labor Day Party or maybe have some extra time to create a unique presentation for your appetizer, we are sharing this fun and easy way to serve the Chobani Meze Dips. 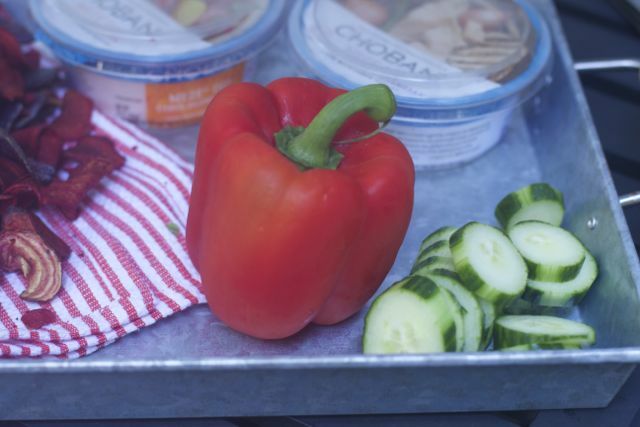 Since Labor Day is Patriotic, pick a red pepper, be sure and find one that will stand on its own. 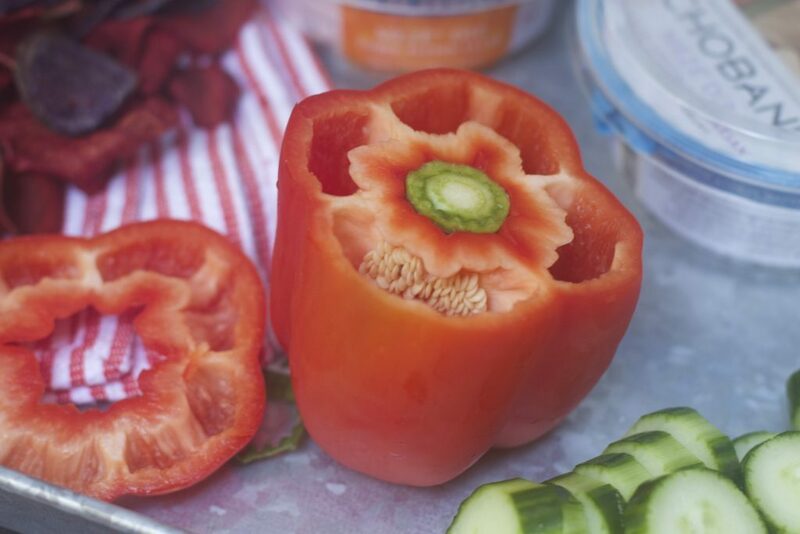 Cut off a small portion of the top to open up the pepper and create a bowl. Scoop out all the seeds and remove any extra membrane for easy dipping. 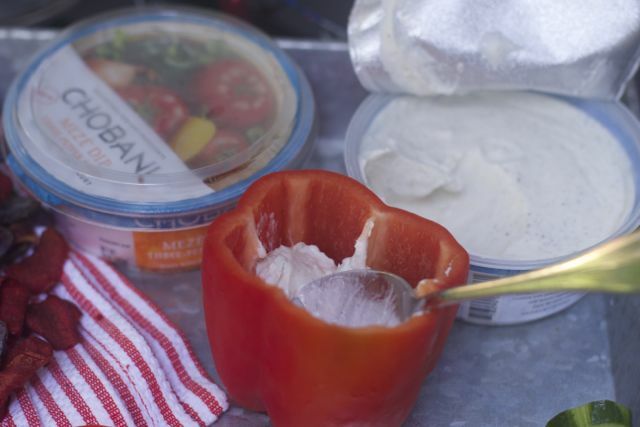 Fill the hollowed red pepper with your favorite Chobani Meze Dip flavor and serve. 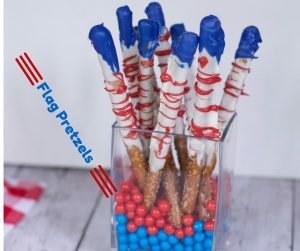 I told you this is an easy presentation for any dip, and really dresses up your appetizer dish. I found some red and white veggies chips to complete the theme as well. You can be creative with other veggies but I could not find more in that color. I also cut up some cucumbers which are always so refreshing on hot summer days. Everyone truly loved this dip. If you are not used to the tangy flavor of Greek yogurt, it may take a few bites to get used to it. Since we eat Greek yogurt a lot in things, no one was bothered by the tangy flavor. Which Chobani Dip flavor will you try first? Make sure you grab a coupon to save on all the great flavors. 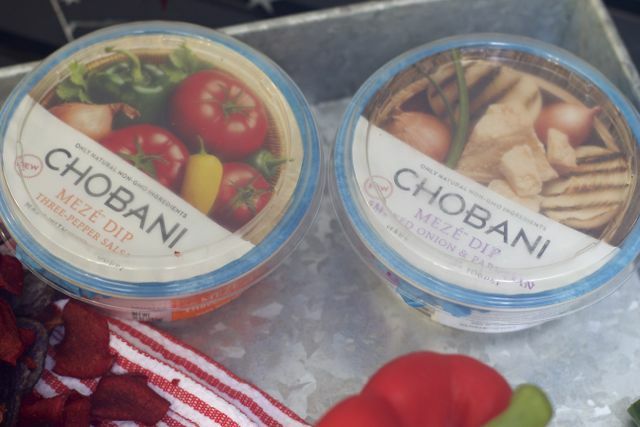 What do you think you will serve with these new Chobani Meze dips this Labor day? I love serving dips – it’s a great way to eat more veggies. 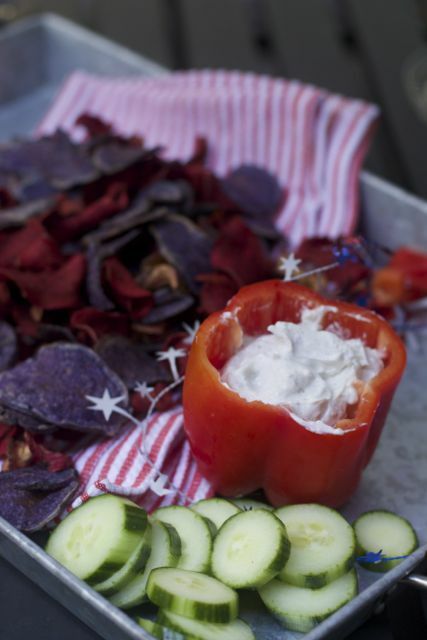 I often eat too much junk food but a dip is a easy way to eat peppers, carrots and celery. I LOVE these. I found all four flavors for our Memorial Day weekend and I nearly leaped with joy for finding them all. They are wonderful with vegetables and pita and.. anything. Wow, these dips sound delicious and I love the presentation! Worth having a party for these alone! 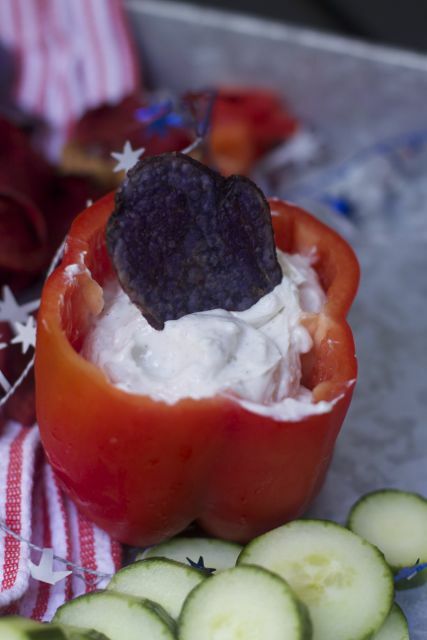 The dip looks fabulous and I love it stuffed in the pepper. I think it’d be great with Wheat Thins and any vegetable to dip. I love that it’s also an easy appetizer. I had this dip for the first time over Memorial Day weekend and loved it! It’s perfect for the veggie tray! How yummy. I like serving dips with fresh veggies to make things healthier. Good idea to put the dip inside the peppers. I love making yogurt based dips!